Whether you are buying an iMac or iPad, besides hardware failures and manufacturing defects, you need to know that Apple offers complete one-year warranty for its devices. Certainly, by paying an extra amount at the time of purchase you can opt for an extended warranty. But, with time and due to hectic work schedule, most of us tend to forget about warranty type and its duration. 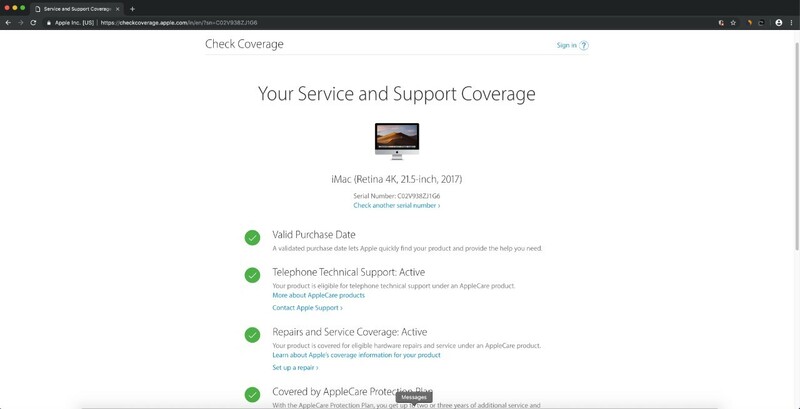 Thanks to Apple’s ‘check your service & support coverage’ page, where you can find purchase date, technical support, repair and service coverage support covered by the AppleCare Protection plan seamlessly. 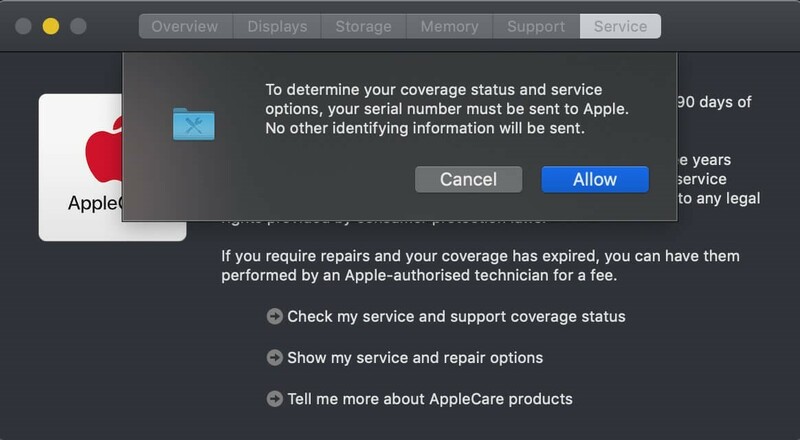 If you want to check active Apple support coverage on your Apple devices like Mac, Apple Watch, Apple TV, iPhone and iPad use Apple’s warranty-checking tool to get the coverage information with ease. Here are the steps to do so. Note: Before you can check Your Service & Support Coverage for Mac you need to know the serial number of your Mac. 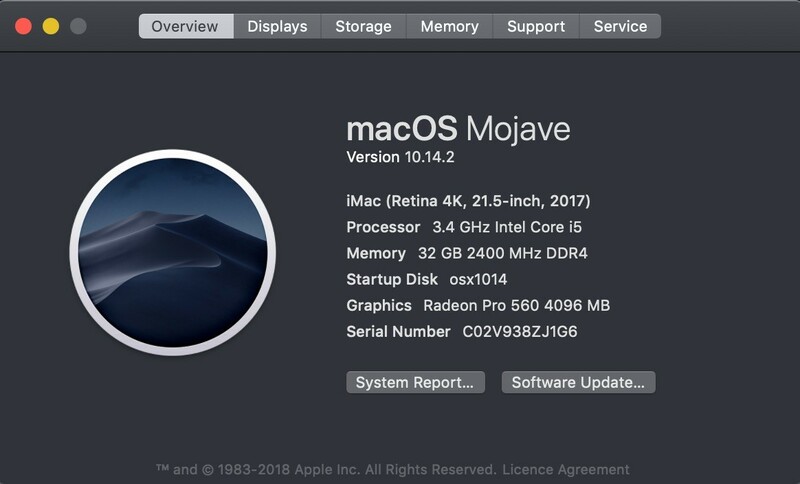 How to Check Serial Number of Your Mac? Step 1: Enter your login id and password to get into your Mac. 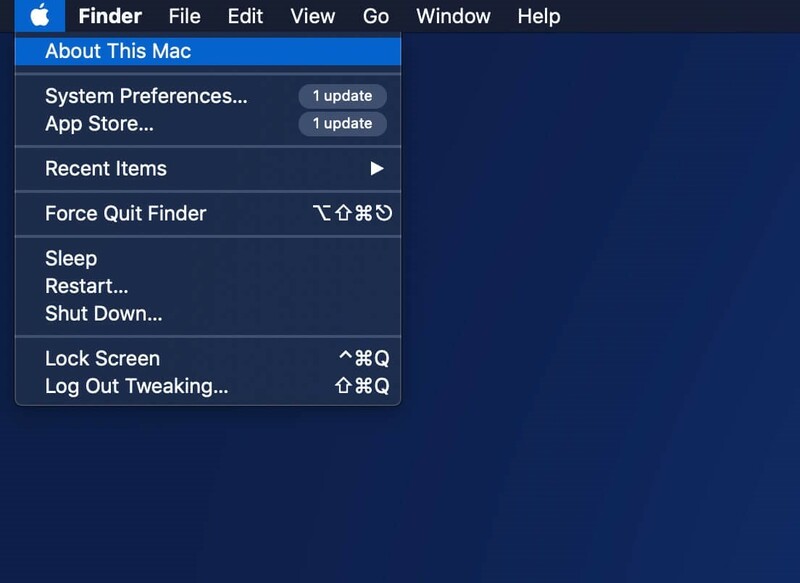 Step 2: Click on the Apple icon which is located at the upper-left corner of your screen. Step 3: Now, choose “About this Mac”. Step 4: Select “Overview” here you can see serial number of your machine. 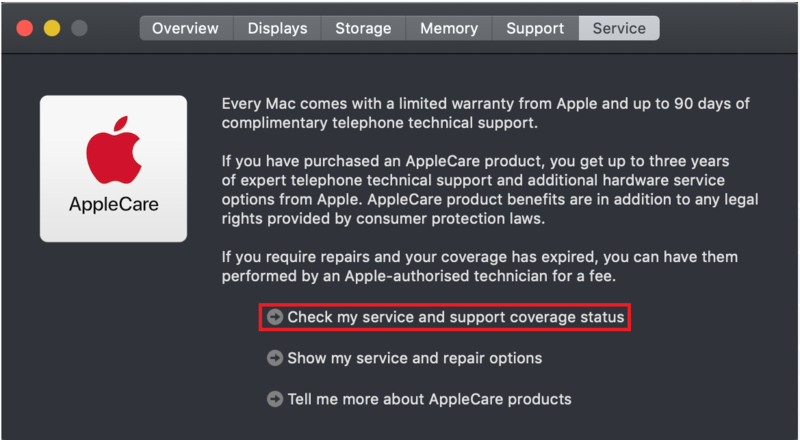 How to Check Your Service & Support Coverage for Mac? 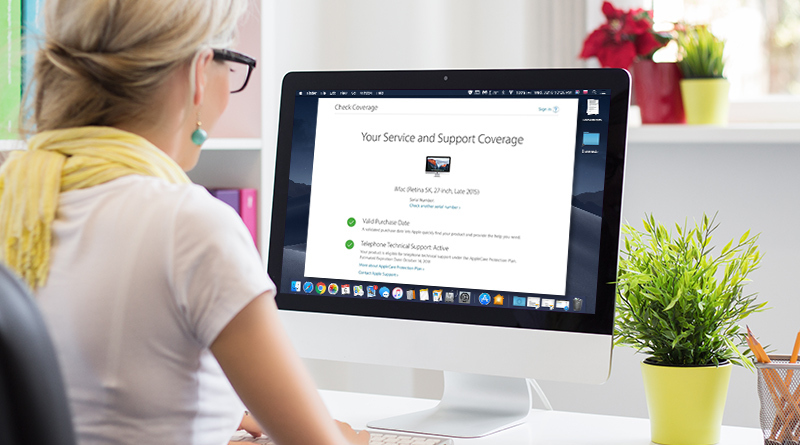 Now that you have the serial number for your Mac, you can check your service & support coverage for Mac. 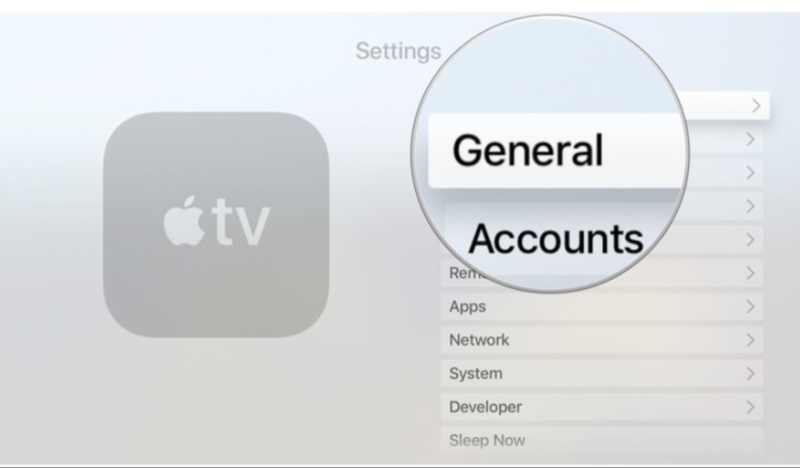 You can use the same method to check the support cover for your Apple TV, Apple Watch, Mac, iPhone and iPad. Step 1: Click on the Apple icon available at the top-left of your screen. Step 2: Go to “About this Mac”. Step 3: When you get a new window on your screen, select Service. Step 4: Now, you need to choose “Check my service and support coverage support”. Step 5: You will receive a prompt on your screen, click “Allow”. Step 6: Next, in the new window click on “Check my service and support coverage support” page, enter your serial number. Step 7: Enter the same CAPTCHA code as displayed on the screen to confirm that you are human. Step 9: You’ll be redirected to a summary page where you can check status of your support coverage. 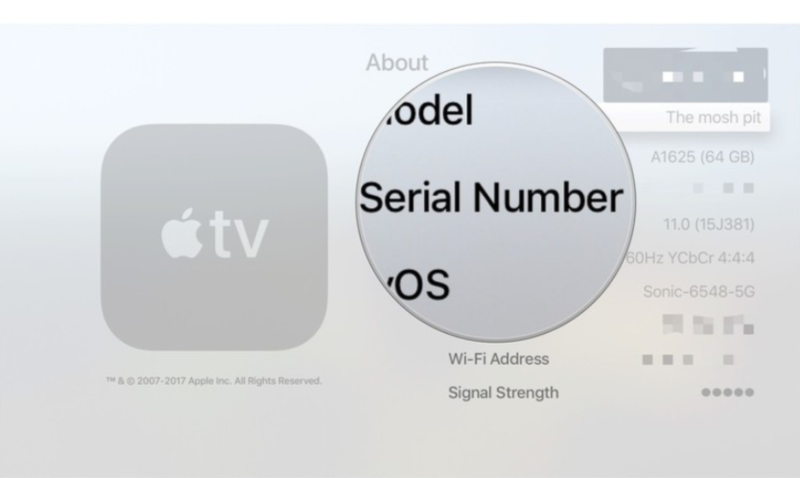 How to Check Serial Number of Your Apple TV? 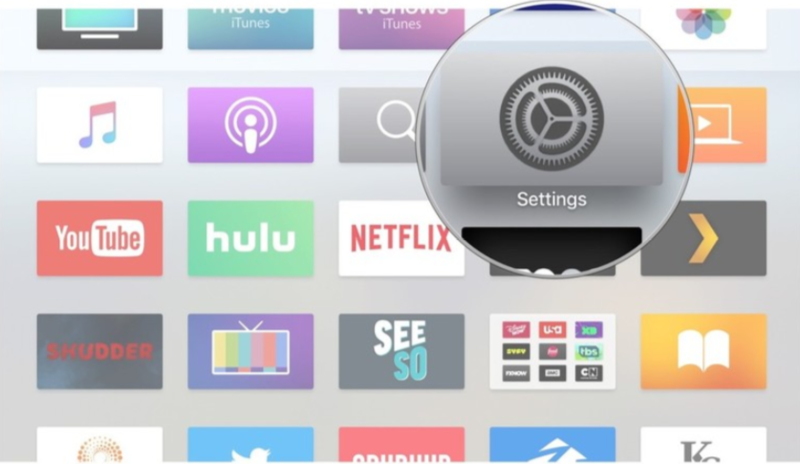 Step 1: Navigate “Settings” on your Apple TV. Step 4: Now, scroll down to see your Serial Number. How to check the serial number of your Apple Watch? 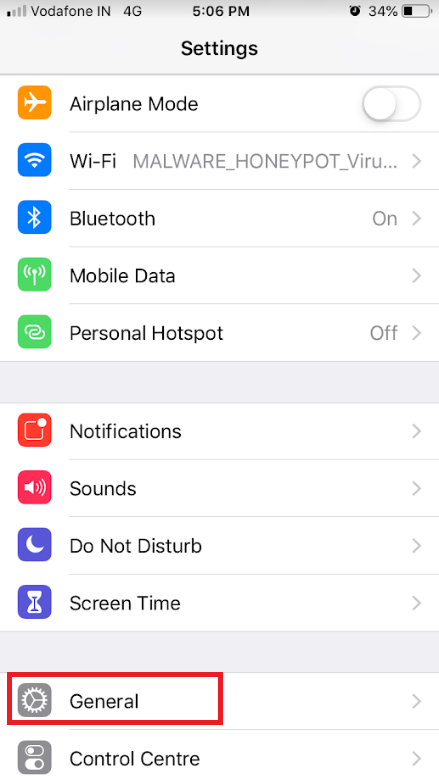 Step 1: Tap on the Digital Crown to locate to your Home screen on Apple Watch and then hit “Settings”. Step 4: Now, view the Serial Number of your Apple Watch. 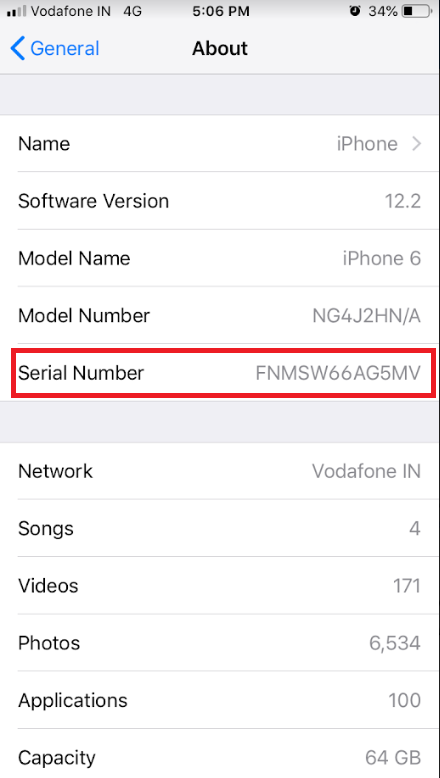 How to check the serial number on your iPhone and iPad. Step 4: Now, scroll down and look for your Serial Number. How to Check Serial Number for All Apple Devices with Apple ID? 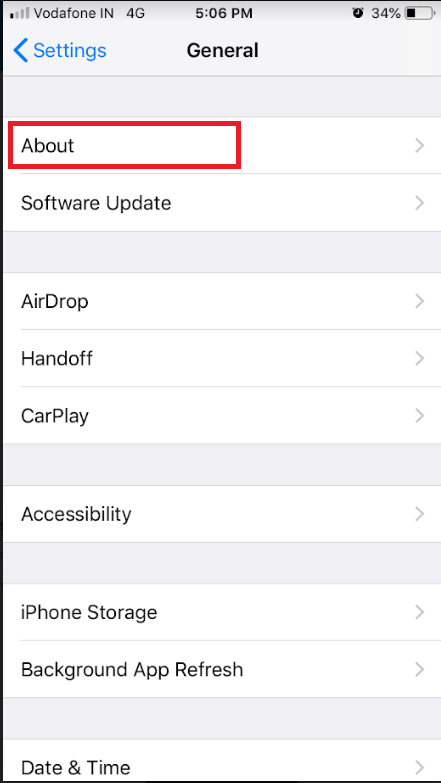 First and foremost, you need to sign into the Apple ID profile page where you can get your hands on all the devices that are connected with your Apple ID. All you need to do is hit on the device and check the serial number. Step 1: Firstly, you need to sign in to your Apple ID profile page through a web browser. Step 2: Go to Devices. Step 3: You need to select the device for which you would be needing the serial number. Step 4: Now, you can check support coverage for each device one by one. In case, your device is still covered under warranty, then whenever you get any issue you can contact Apple support through call, chat or email. Moreover, it is possible to schedule an appointment to take your Mac, Apple TV, Apple Watch, iPhone and iPad to the nearest Apple Store and get support in person. 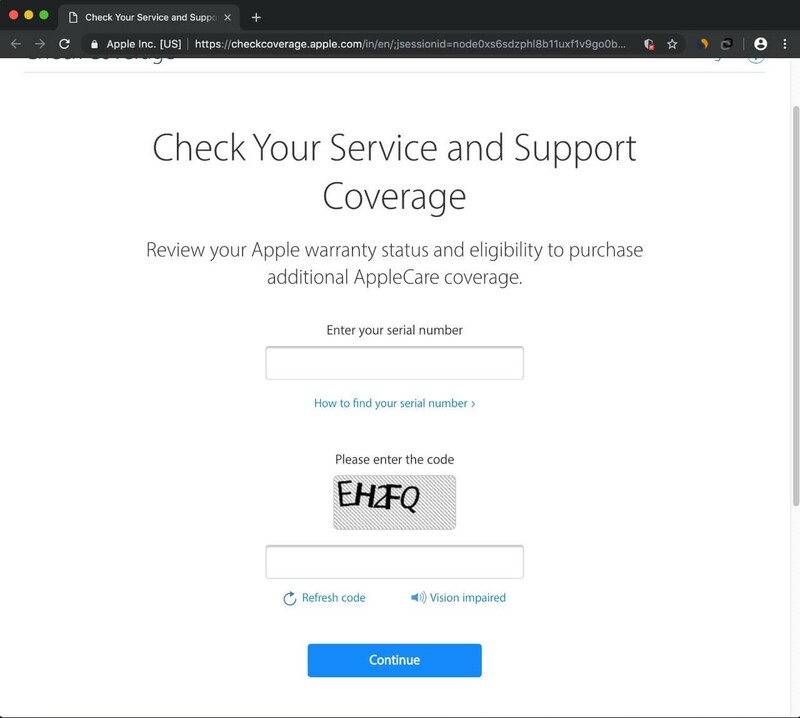 If your device is out of warranty and coverage support click on “eligible for AppleCare” to add an Apple Care plan for your device. Now, that you know how to check warranty and coverage support for your Apple devices. Check your Apple device’s warranty status so that you can get everything fixed free of cost if you have an active warranty plan.